The 1:18 scale vehicle traverses over pavement and icy pathways at 1 mph via its treaded rubber tracks. 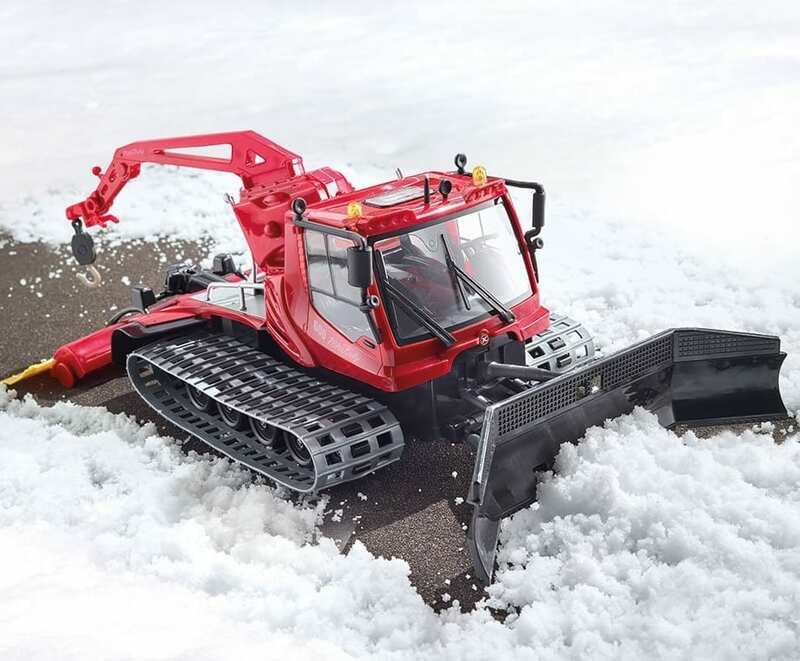 Operating like a standard snowplow, its removable front shovel moves up and down for powdery snow removal and its rear crane rotates 360° for rescuing mini-coupes. The 2.4 GHz radio-frequency remote moves the plow forward, backward, left, and right, enabling it to “clear” a shoveled driveway or plow a patio tundra for seasonal foot traffic. With a 65′ range and working top light.